Maya Ednutalwar, 43, takes only a few minutes to get her gear organised: soap, a few strips of tablets, a thermometer, a scale, a baby-sized 'warm bag' to treat hypothermia, health education pamphlets, treatment forms, and medical records. She walks briskly out of her house and into the narrow lanes of Rajgatta village. She is headed for Jepra village on her daily rounds. Her first visit is to the home of a young mother and her 15-day-old infant in Jepra. She examines the mother and baby and confirms that both are well. Ednutalwar is an aarogya doot (health messenger). Community health workers like her keep a register where they record pregnancies, births and other health data. "Right now, there are about 15 cases in my register," says Ednutalwar. "I visit some babies every third day, as they are still in their first few weeks. Others I see once a week or once a fortnight." She works in Gadchiroli district in eastern Maharashtra, an economically backward region riddled with Naxal violence, where there are no public health care services. But her manner is confident and assuring, like that of any health-care professional. She works with the Society for Education, Action and Research in Community Health (SEARCH), a non-profit organisation founded by doctors Abhay and Rani Bang. For 26 years, SEARCH has shown that ordinary villagers and illiterate midwives can be trained to care for newborns where there is no doctor. Rani has an MD in gynaecology, and her husband Abhay has one in medicine. Both also have masters degrees in public health from Johns Hopkins University in the United States. The couple returned to India in the mid-1980s to address the health problems of the rural poor, and founded SEARCH at Shodhgram (research village) in Gadchiroli, a three-hour drive from Nagpur city. Abhay explains the principle of 'barefoot doctor', adopted by the Chinese government in 1965: making health care available within walking distance for a mother who is carrying a sick baby. For the Bangs, that meant care for newborns would have to be provided in their homes. The Bangs' innovation in home-based care of newborns does not depend on doctors, nurses, hospitals or costly equipment. It empowers women to use simple medical knowledge and skills to save their newborns. Over the years, SEARCH has trained Ednutalwar and about 40 other women from 39 villages in Gadchiroli in home-based newborn care. Training a community health worker costs SEARCH approximately Rs 15,000, including Rs 1,500 for equipment. The worker is trained in first aid methods such as resuscitation of newborns at risk, preparing and monitoring feeding schedules, and assessing the infant's health by examining the soles of the feet for warmth and colour, working under supervision for a year. This method of newborn care is supported wholly by SEARCH in Gadchiroli. Community health workers, who earn approximately Rs 800 to Rs 1,000 a month, have brought about a revolution in thought and practices relating to neonatal survival. However, the model is not intended as a business venture. The health workers serve their community in their spare time, as semiprofessionals. This model was developed after a meticulous research trial of home-based newborn care in 39 villages showed that within three years (1995-98) newborn mortality reduced by 62 per cent. By 2003, the infant mortality rate had dropped from 121 to 30 deaths per thousand live births. This figure was the national target to be achieved by 2012, so the pilot project put these villages far ahead of the rest of the country. Indeed, India has yet to bring the infant mortality rate down to 30. In its 2010 annual report, the Ministry of Health & Family Welfare stated that the infant mortality rate was 53. SEARCH started with the aim of tackling two critical issues. One was to address specific health issues such as child mortality, women's health, and addiction, which are nationwide concerns. The second was that people in almost every backward region are deprived of basic healthcare facilities. "Our innovation is a model which we call aarogya swaraaj or health freedom," says Abhay. "People are empowered to take care of their own health." SEARCH's home-based newborn care is an example of such empowerment. Vaatsalya Healthcare's hospital network offers affordable health services. The cost of having a baby at Vaatsalya, for instance, is Rs 8,000, compared with Rs 55,000 in a corporate hospital. It has 1,500 employees, 1,400 beds in 17 locations in Karnataka and Andhra Pradesh and treats around 500,000 patients a year. Vaatsalya keeps prices low by emphasising quality, and eschewing frills. 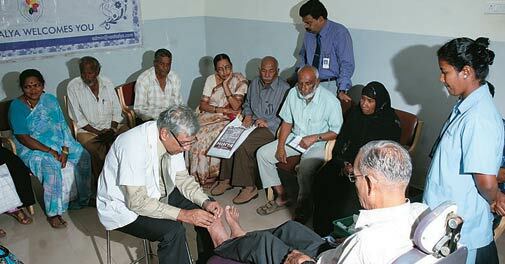 Launched in 2005, it calls itself the country's first hospital network focused on Tier II and Tier III towns. Today, there are big names in the affordable health care segment, too: Apollo has its 'Apollo Reach' hospitals, Fortis runs 'Fortis General'. However, Vaatsalya's co-founder and CEO Dr Ashwin Naik says: "There are a few things we have done differently." One of these is a focus on four or five services, as opposed to multispeciality or single speciality. Another is to reduce capital expenditure by leasing premises, instead of owning them. And, of course, Vaatsalya is focused on small towns. Sure, later entrants may use similar strategies. But Naik is unperturbed. He says Vaatsalya's first mover advantage lets it focus on driving down costs further, and the opportunity is large enough for three to four players. More than competition for customers, he fears human resource constraints. "This year, we are launching the Vaatsalya Training Academy, which will train about 300 students for entry-level jobs in hospitals," he says. Vaatsalya earned Rs 24 crore in its first full year, and has grown at 35 to 40 per cent a year. He explains the economics of saving a child. In health economy parlance, he says, health care is evaluated in terms of the cost per life-year saved. For instance, averting the death of one newborn contributes 23 adult productive life-years to the national economy. So the cost of adding a productive lifeyear to the national economy through home-based newborn care worked out to $7 during the period from 2001 to 2003. "When we drew comparisons with other national child survival methods across the world, homebased care turned out to be the most cost-effective," says Abhay. Home-based newborn child care has become national policy in India. Implemented in 21 states, it aims to train 800,000 ASHAs (accredited social health activists) across the country, through the National Health Systems Resource Centre. The centre is part of the health and family welfare ministry. ASHA workers will be paid Rs 250 for every infant they tend to. In 2009, the World Health Organization and UNICEF endorsed the Bangs' approach for use in developing countries. It has been implemented in Bangladesh, Bolivia, Ethiopia, Malawi, Nepal, Pakistan, Uganda and Zambia. The model is based on science and evidence, which makes it dependable. "We have replicated it within the country and outside as well," says Abhay. "This repeated testing and ensuring that it works everywhere is the greatest assurance of its scalability." Since it became national policy, it is the government that has been implementing it. Despite their method's impressive statistical results, the Bangs have been criticised for letting uneducated women administer complex drugs. Abhay, however, says that he is unperturbed by such criticism. He adds that SEARCH could overcome education barriers because of strong evidence and field trials that were published and honoured as a Vintage Paper in The Lancet, one of the oldest and most respected journals of medical research. Vintage Papers are what The Lancet considers milestones in its 189-year history. As the SEARCH model is scaled up, it is difficult to predict its success rate across the country. Much will depend on effective administration. Unlike in Gadchiroli, health workers across the country are selected by the government and not by the Bangs. The technical and moral support that SEARCH gives to community workers who are handling complications will have to be replicated. 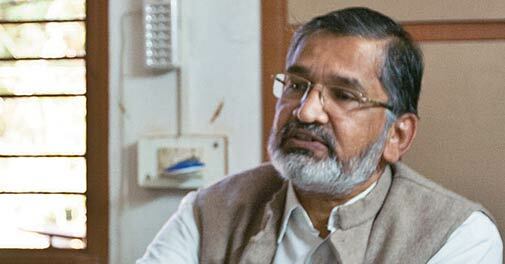 "There will be uncertainties in such a large scheme, but we will remain focused on how to make things work because the number of lives at stake is in millions," says Abhay. 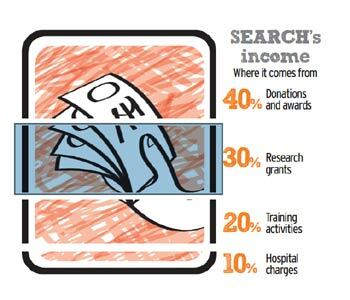 Financially, SEARCH has managed to sustain itself over the years by not relying on any one source for funding. Ten per cent of its funds come in through its affordable hospital for local tribals. Another 20 per cent comes from training activities, and 30 per cent from research. Donations and awards account for the remaining 40 per cent. It is a harsh life for residents of the relatively inaccessible, hilly regions of the Araku Valley in Andhra Pradesh. On March 5 this year, for example, a 24-year-old woman of the Konda Dora tribe lay bleeding profusely after delivering a healthy baby at her home, located in a small, inaccessible hamlet in the valley, 23 kms from the nearest medical facility. She would almost certainly have died, but she is alive and well. How did that happen? She survived because she got medical attention, thanks to the Health Management and Research Institute (HMRI) which had a trained health worker in the hamlet, who could attend on her and get people to quickly move her to the nearest community health centre. The brainchild of Satyam Computer Services founder B. Ramalinga Raju, HMRI was started in 2007, but was left rudderless after the Satyam scam. It is now run by the Piramal Group as part of its corporate social responsibility efforts. Earlier, apart from the telemedicine centre, HMRI also ran a 24x7 medical advice helpline and mobile health units. But these, which began on a public-private-partnership model with the Andhra Pradesh government, have since been taken over by the latter. Tele-medicine is still with the foundation "Telemedicine for tribals in remote regions was launched in October 2010, with funding from the MacArthur Foundation for one year," says Balaji Utla, CEO of HMRI. "Today, it is funded by the Piramals." HMRI also has helplines in Assam, Maharashtra and Rajasthan, which are publicprivate partnership. In Assam and Rajasthan, it also runs mobile clinics. SEARCH gets doctors and interns from all over the world, who come for research and training in community health. Only nine doctors are actually employed by it. Besides working at the hospital, they are involved in regular training and research activities. Five of the employed doctors received higher education in the United States. 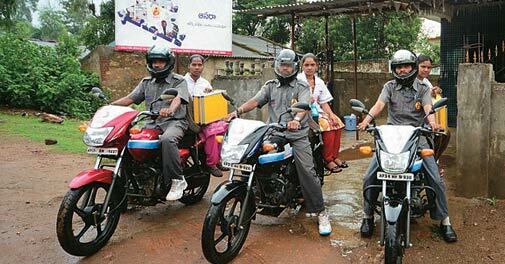 Instead of five-star hospitals in big cities, they have chosen to live and work in Gadchiroli, earning between Rs 12,000 and Rs 25,000 a month. "Most of those who are employed here initially came because of a personal inspiration, and then got so involved that they decided to stay on," says Dr Anand Bang, son of Abhay and Rani. Psychologist Venkatesh Aiyyar quit his job of 10 years at the Institute for Psychological Health, in Thane near Mumbai, to work here. He says: "What's interesting here is that you are constantly in touch with the people you are treating." He adds that this is a major reason for his motivation to work at SEARCH. Money is certainly not a motivator for him and his colleagues: SEARCH pays one-tenth of what they could earn in a city hospital. Eight million children die around the world every year before their fifth birthday. In such a world, perhaps it is the practical compassion of people such as the Bangs and their team that offers the best hope for saving lives.